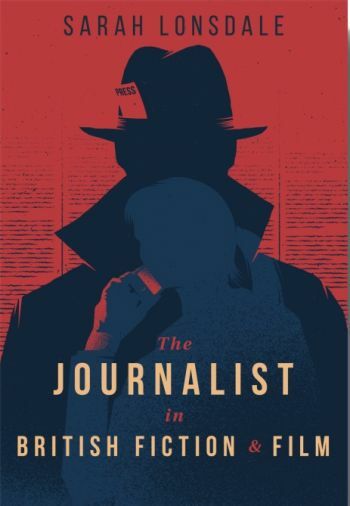 Join us for a symposium and celebration to launch the book 'The Journalist in British Fiction and Film', by one of City University London's journalism lecturers, Sarah Lonsdale. The book traces the ways in which journalists and newspapers have been depicted in fiction, theatre and film from the dawn of the mass popular press to the present day. Sarah Lonsdale, author of The Journalist in British Fiction and Film: Guarding the Guardians from 1900 to the Present and lecturer in Journalism at City University London. Sarah is also a journalist with twenty five years experience and contributes to the Sunday Times and Telegraph. Philip Norman, journalist, novelist, playwright and biographer of the Beatles, John Lennon and most recently Paul McCartney and author of Everyone’s Gone to the Moon, a novel about his heady days on the Sunday Times Magazine during the Swinging Sixties. Eric Clark, investigative journalist, thriller writer and author of The Sleeper, about a journalist who emerges from deep cover during the Cold War to face the consequences of his political choices. Annalena McAfee, former Financial Times arts and literary editor, founder of the Guardian Review and author of The Spoiler, about the clash of cultures between 'old' newspaper journalism and online. Ian Richardson, screenwriter and former commercial radio journalist in Australia, then 27 years with BBC World Service radio and television. Author of The Mortal Maze, a thriller revolving around a BBC correspondent's ethical challenges.